Richard is an executive marketing specialist in crypto, blockchain, tokenization and capital raising through digital finance. Richard previously led the Marketing and Product teams at Argon Group - one of the largest investment banks catering to capital raising through digital finance, blockchain investments and the cryptocurrency sector. 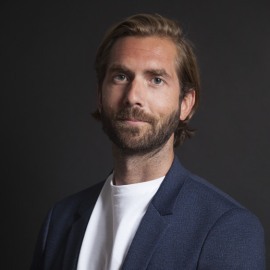 He has worked with some of the largest global creative agency networks, specialist boutiques and on numerous start-ups in the digital and tech space across the globe and led companies in Sydney Australia, London UK, Niseko Japan, Dubai UAE and Los Angeles CA.